Commander Hawk, is your #1 Family friendly Key West Fishing Guide. Whether you are a Serious angler or an absolute beginner, we have the custom trip for you. Charter a fishing trip in Key West with Commander Hawk Fishing Charters. Offshore, Inshore, Reefs, or Wrecks; our specialty is having fun catching big fish. It doesn’t matter if you are fishing for food or sport, Capt. Tim knows where to go to put you on the fish. Some of the more popular target species include sailfish, dolphin, wahoo, snapper, grouper, barracuda, tarpon, and shark. Some other options may be night fishing, spear fishing, or lobster hunting. 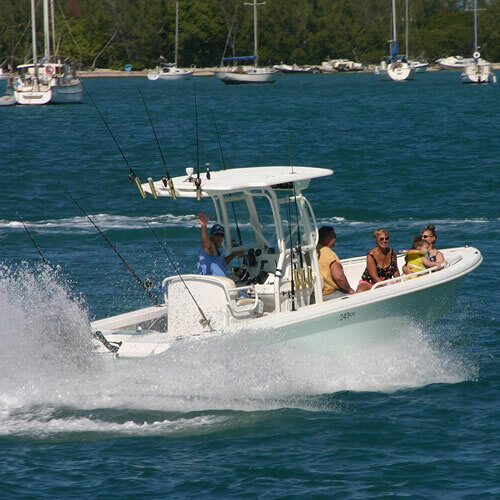 Your vessel for the day is the incredibly versatile and “unsinkable” 2004 Everglades 24 center console powered by a 2015 Suzuki 250 hp four-stroke outboard. This means that we are just as capable trolling deep offshore as we are running far into the shallow waters of the world famous Key’s backcountry. Take a trip into the past with a truly original nautical experience, sail on a Vintage 1967 Morgan 34 Centerboard Sloop. Take the helm, trim the sails and feel the salt sea splash on your face, run with the dolphins. 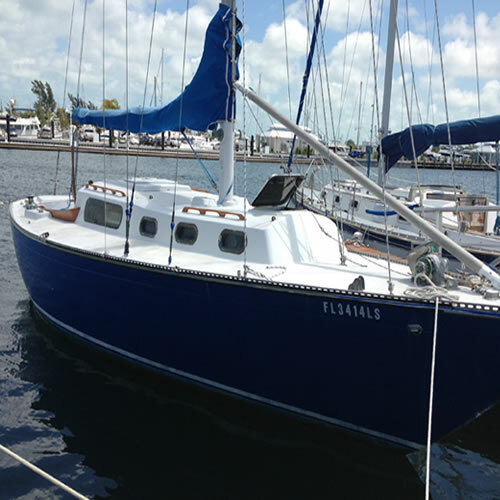 Capt Tim, will take you on an excursion of a lifetime, sailing into the sunset on the Courage. Learn the basics of sailing in a single day sail cruise. The Talon is on the hunt. If speed and efficiency is your game, the Talon is your boat. A fast and nimble fishing machine, the Talon is a 24 foot center console Everglades, powered by a 250hp Suzuki four stroke. On the hunt for game fish, a little shark fishing or just going out for a little lunch, the Talon is your boat and Capt. Tim is the guy to get the job done.